We deal in all sizes Mild Steel, Galvanized & Carbon Steel Seamless Pipes from reputed JINDAL brand. Especially used in Cement Factories, Construction Field, Pharma Industries & General Plumbing. Available in all parameters & IS grades. Pipes made by mild steel contain carbon contents of less than 0.18%, and is therefore not hardened because of low carbon content. Mild steel is available in a variety of structural shapes that are easily welded into pipe, tube, tubing etc. 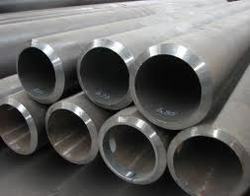 Mild steel pipes and tube are easy to fabricate, readily available, and cost less than most other metals. In well protected environments, the life expectancy of mild steel pipe is 50 to 100 years. Generally, these pipes are coated with other metals such as copper, to protect from corrosion. 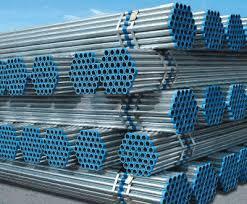 Mild Steel pipes and tubing are used for structural purpose and mechanical & general engineering purpose. It is also used for drinking water supply and the use of chlorination and sodium silicate inhibit corrosion in mild steel pipes. Extra care is always required to keep mild steel pipes from rusting. 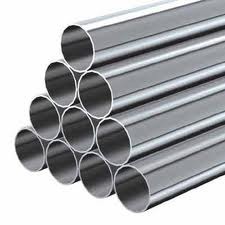 Mild Steel containing carbon less than 0.18%, is available rather economically in a variety of structural shapes which are easily welded into pipes, tubes etc. These mild steel pipes & tubes are easy to fabricate, are less costly and are readily available anywhere in the world. the life expectancy of the mild steel pipes & tubes ranges from 50 to 100 years. Usually coated with copper to protect from corrosion, the Mild Steel Pipes & Tubes are widely used for various structural purposes, general engineering purposes and also for the supply of drinking water. But, mild steel pipes & tubes are highly prone to rusting, so adequate care must be taken. Pipes made by mild steel contain carbon contents of less than 0.18%, and is therefore not hardened because of low carbon content. Mild steel is available in a variety of structural shapes that are easily welded into pipe, tube, tubing etc. Mild steel pipes and tubing are easy to fabricate, readily available, and cost less than most other metals. In well protected environments, the life expectancy of mild steel pipe is 50 to 100 years. Manufactured from qualitative raw materials of mild steel our products are widely demanded. the wide range of our products includes all kinds of Mild Steel pipe fittings. Automotive, construction, steel ware making, machine making, engineering, electronic, robust construction, dimensional accuracy, corrosion resistance, high tensile strength, easy to install, long operating life, durable, less maintenance. water treatment, water filteration industries, infrastructures, fire fighting equipments, pharma industries, Cement factories, heating industries (boilers), industrial fabrications units, hardware items & fittings, textile, sugar, paper, chemical, dairy & Mills. We have a large stockyard for trading & exporting gi pipes and gi steel tubes / pipes and welded black pipes/tubes and Electro galvanized Steel tubes/pipes. 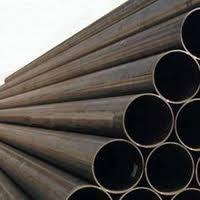 We manufacture steel tubes for a range of applications like Mild Steel tubes for structural purpose and mechanical & general engineering purpose, ERW Pipes for water, gas & sewerage, Steel tubes for idlers of belt conveyors, water wells and Lancing Pipes for various automotive & industrial applications. These are pipes are suitable for irrigation and water supply, plumbing, cold storage applications, scaffolding, antenna and telecom towers, water wells etc. GI Pipes/Galvanized steel pipes are covered by a layer of zinc .GI pipes and tubes are mostly used in structural applications. GI steel pipes and tubes are available in various size and shapes based on the customers requirements. We have an extensive range of H.B Galvanized Pipe Fittings. For each & every product first the raw material is chemically tested than it forged in Electric Anealing Furnance, after the structure is prepared it undergoes a composition testing, presicely grinded & shot blasted after which the Angle Alighnment is tested & dried & cleaned. Each fittings set under pressure tolerance & than sent for hot dipped galvanizing after which the burrs are removed & goes under computerized threading & machhining. ASTM A53 is a carbon steel alloy, used for structural steel pipe. The alloy specifications are set by ASTM International, in specification ASTM A53/A53M. A53 pipe is suitable for structural or pressure applications. 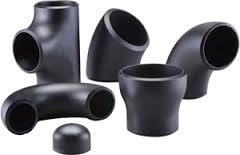 Forged Steel Pipe Fittings have Black Finish and these are pre treated to prevent Rust Formation. It has no Complaint for leakage on Fitment or in Operation within a recommended Pressure Range. The min Tensile strength of 320N/mm2 and max Tensile Strength 485N/mm2. The thread of these Fittings comply with the requirement of IS-554 : 1985. The Threaded Fittings are thoroughly checked with calibration Thread Gauge and are leak tested at 1000 psig hyd. And Socket Weld Fittings are leak tested at 3000 psig hyd. ASTM A-105, A 182 F-304/304L/316/316L/321 A-350-LF 1,LF2, LF3, A 182 F5, F7, F9, F11, F22, IS2062, IS1239, IS3589 ASTM A 234. WPA, WPB, WPC, WP1, WP5, WP7, Wp11, WP12, WP22 A 420 WPL3, WPL6, A 403 WP 304/304L/316/316L/321/347, Steam Boiler Class, Plus major "Exotic" materials i.e. Various grades Nickel, Monel, Incoloy, Hastelloy, Inconel, Cupro nickel & Titanium. Specification: ASME/ANSI B16.11, B 1.20.1, MSS SP-79, 83 and JIS B 2316 type Union; 45o, 90o Elbow, Tee, Cap; Thread Type: 45 o, 90 o, 180 o LR & SR Bend, Pressure: 2000Lbs, 3000Lbs, 6000Lbs, 9000Lbs. 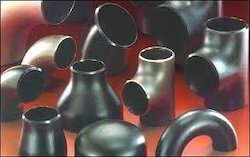 Application : Forged Fittings used for Petrochemical, Industrial, Marine & Infrastructure Industry, Water Treatment, Water Filtration, Pharma Industries, Textile, Sugar, Paper, Chemical, Diary, Infrastructures, Heating Industries & Industrial Engineering Fabrication. Looking for Pipes & Pipe Fittings ?